Beautifinous. 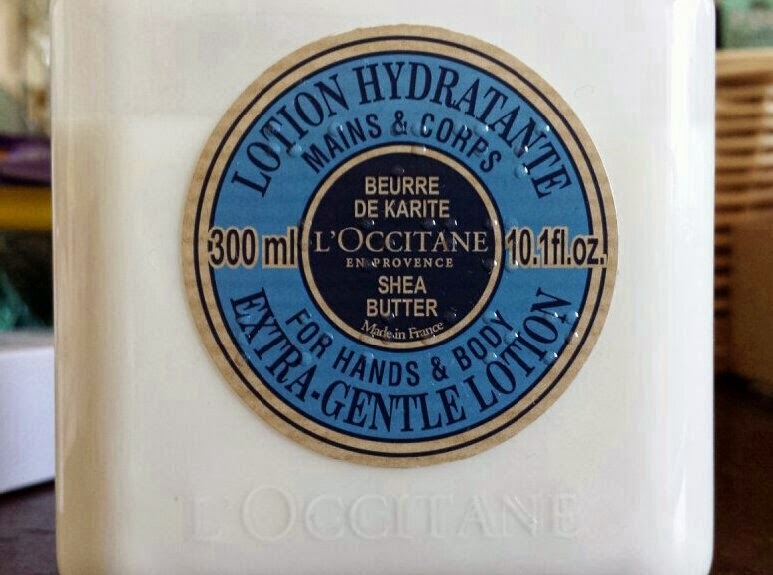 : L'Occitane Shea Butter Extra-Gentle lotion for hands & body. This product cost me £16 from Escentual (it is £17 from L'Occitane itself) and is contained in a 300ml plastic bottle with an open/close pump lid. It is from their Shea Butter collection of products. 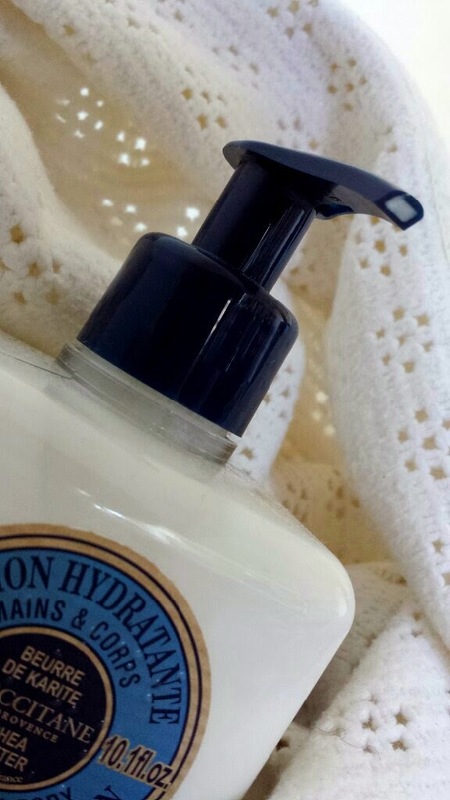 It is both an all body moisturiser and hand lotion with Shea Butter and honey extract. 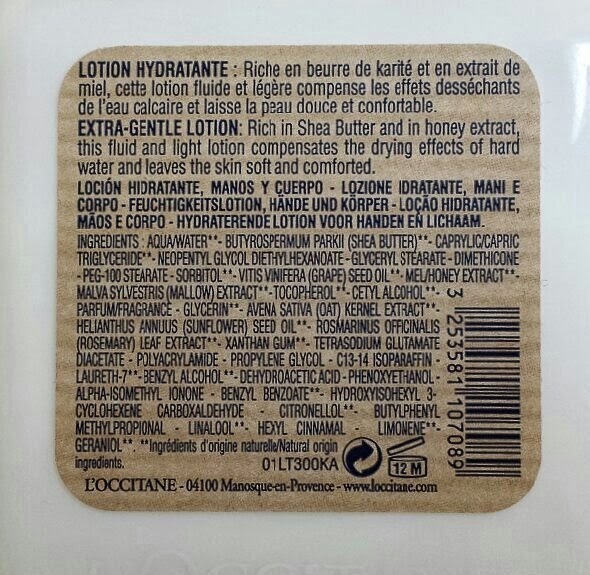 It claims: "Extra-gentle lotion: Rich in Shea Butter and honey extract, this fluid and light lotion compensates the drying effects of hard water and leaves the skin soft and comforted." Simply press the pump to dispense product, rub all over your body and/or hands! This product has actually saved me time in my every day routine. Pumping out the product onto your hands is fast and due to the texture gliding on so easily and spreading so far I can moisturise in no time at all. Along with this, the absorbency speed means that you can get dressed straight after without worrying about your moisturiser sinking in etc. This stuff to me is amazing! Honestly, the way my skin feels after using it makes me a very happy woman. My skin feels luxuriously soft and pampered and the feeling lasts all day which is extra perfect on days where my little man keeps me on my toes! It's amazing how something as simple as a lingering feeling of comfort and clean, pampered skin can keep your spirits up. The consistency is indeed very light and fluid which glides onto the skin incredibly easily. It absorbs into the skin quickly and has a milky, clean smell that I can smell on myself throughout the day. You don't need much of the moisturiser to cover large areas of the body. For example, I find that one fast push on the pump dispenses enough product for both arms. This is also beneficial in regards to longevity of the product; little product needed = bottle lasts longer. It looks beautiful on a dresser, smells divine, leaves my skin feeling silky soft, is very fast to use... it has everything that I personally look for in a product. The best thing though is definitely the speed of application. If my little bundle of joy gets restless and decides to cry or if I'm running late for wherever I need to be, I don't need to worry about moisturising taking too long. Some people may not like the smell. I recommend to probably give it a whiff before you commit just in case! The pump can also accumulate dried up product around the nozzle. It takes a whole couple of seconds to make sure it is wiped clean after use, but if you forget or simply don't have time then you can get hard lumps of moisturiser being spread around on your skin during application. Also, as it isn't rich in texture, you won't be receiving a body butter style intensive moisturiser. This is a light, hydrating lotion that provides everyday skin hydration. It probably isn't for you if you suffer from very dry skin! 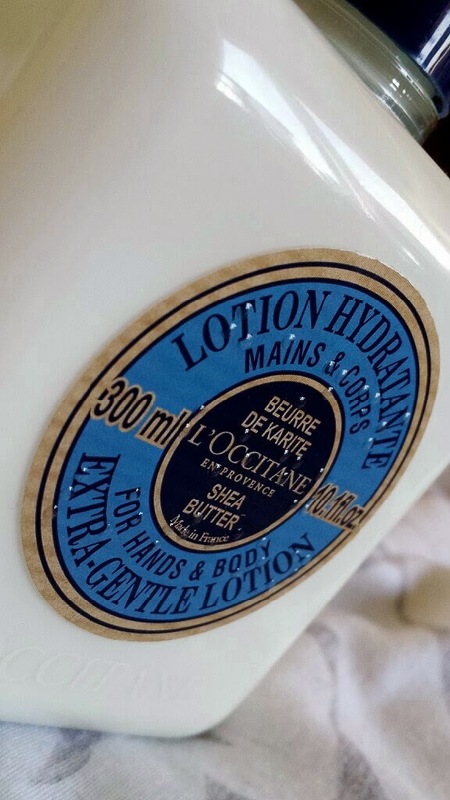 There are products that are more tailored to dry skin by L'Occitane if that is what you are looking for and in that case I would recommend the Ultra Rich Body Cream from the same range as this product. However, if fast, easy application is what you are after with a lotion that feels light and fresh, I highly recommend this product to you! Also, for the mums out there, you can also buy a multi-purpose moisturising cream from this range for both you and your wee babba to share! Perfect!